Last Saturday, on the road again with Mr Atfield. 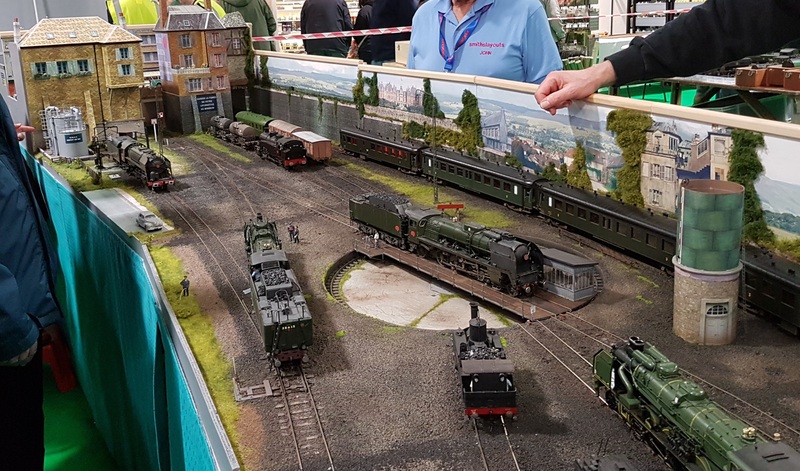 We started off at Brentwood toy fair, that was a disappointment – last visit had lots of ‘N’ gauge, this time next to nothing. We then continued north to Huntingdon for the East Anglian show. 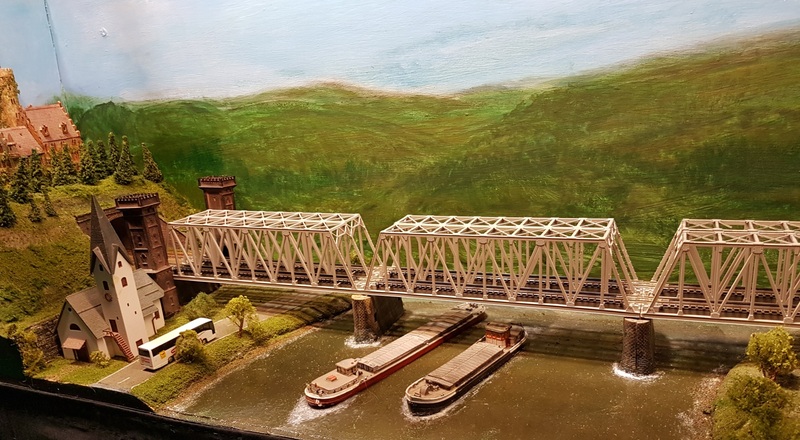 It’s a bit of a haul to get there, but this is one of the larger shows nationwide and proved to be worth the visit. Perhaps the only catch was that the organisers had problems with the free bus between overflow car park and exhibition hall, so we had a bit if a wait to get in. 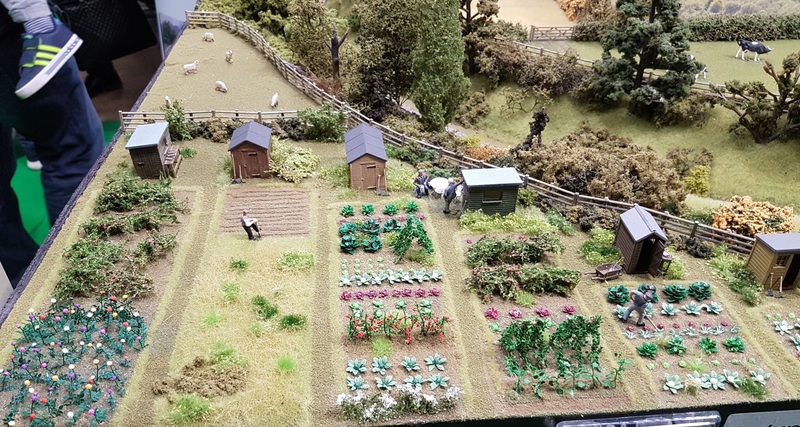 Once inside, we first spotted this excellent allotment on the OO9 Launceston Steam Railway. 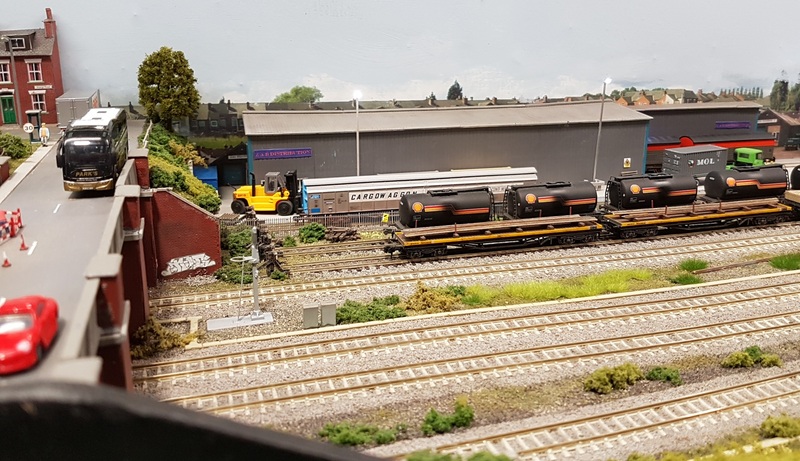 My favourite layouts were both in ‘O’ gauge. 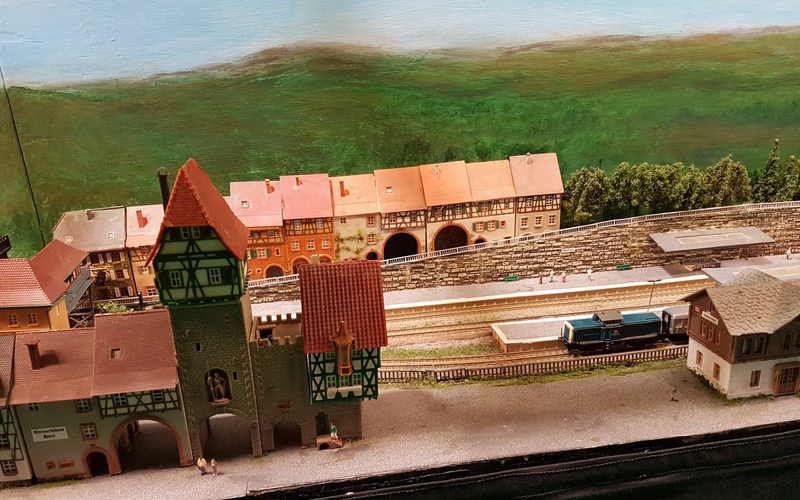 Eu (Le Treport) Depot has the unusual combination of a French steam shed and ‘O’ gauge. 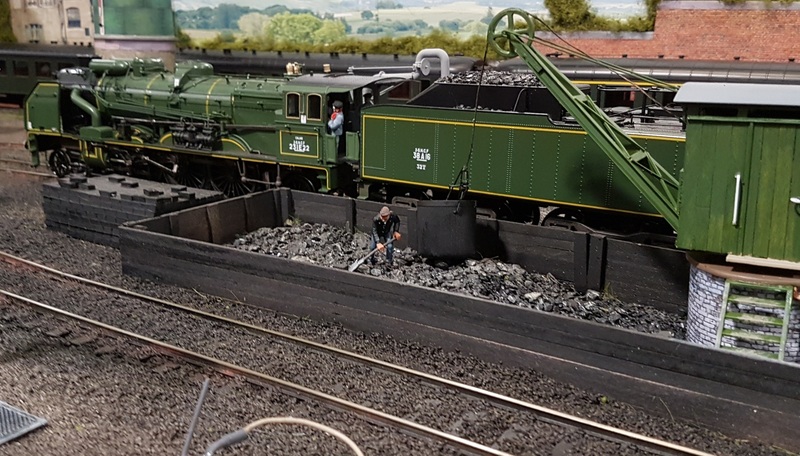 Some impressive steam power was on show. 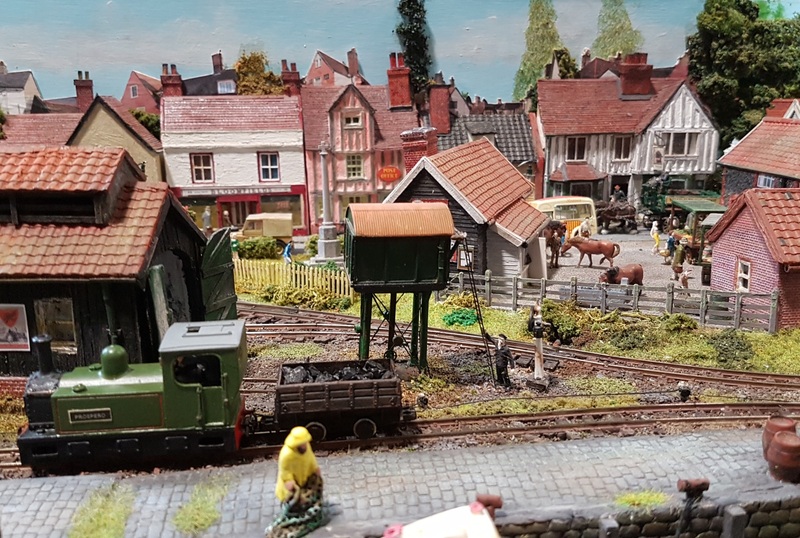 The exit to the fiddle yard is under this well detailed street scene. 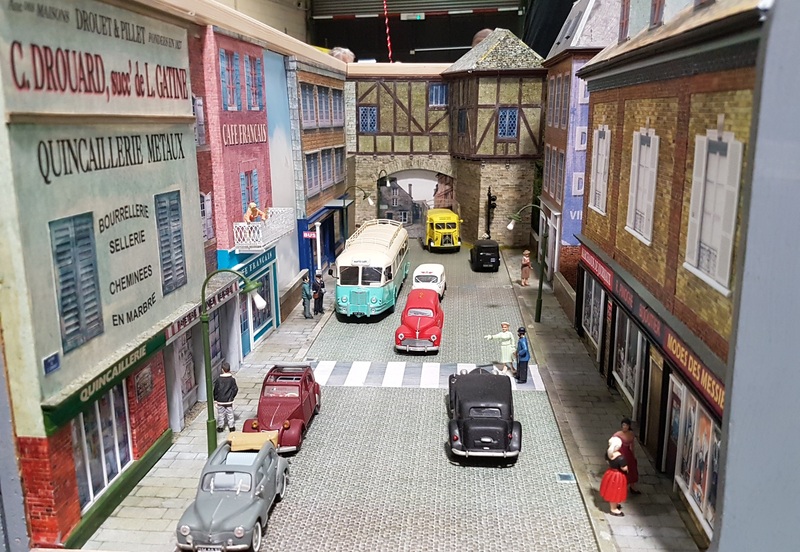 If I recall correctly from the blog articles I read a while back, they built this scene first, then had to build a mirror image of their track plan, as they had built the street scene the wrong way round! 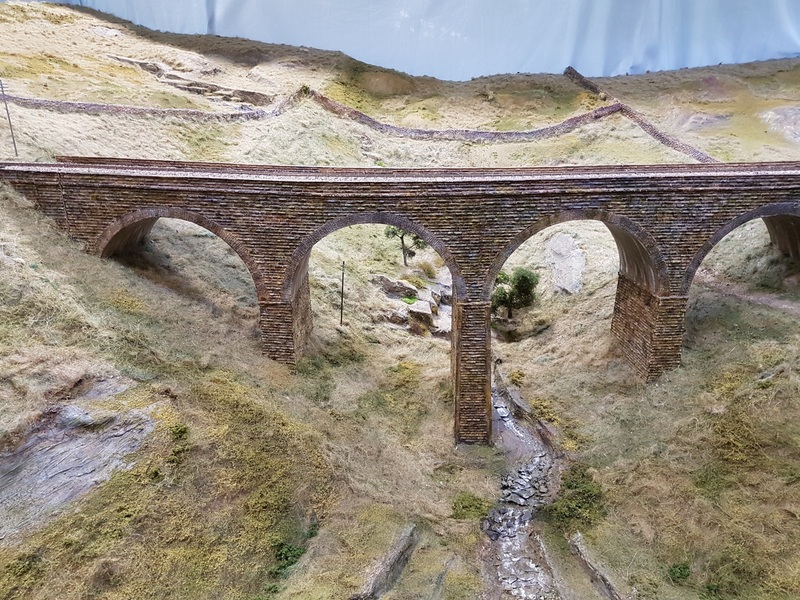 The other ‘O’ gauge layout, ‘The Summit (Draper’s Sidings)’ is based on the summit of the Settle and Carlisle line at Ais Gill. 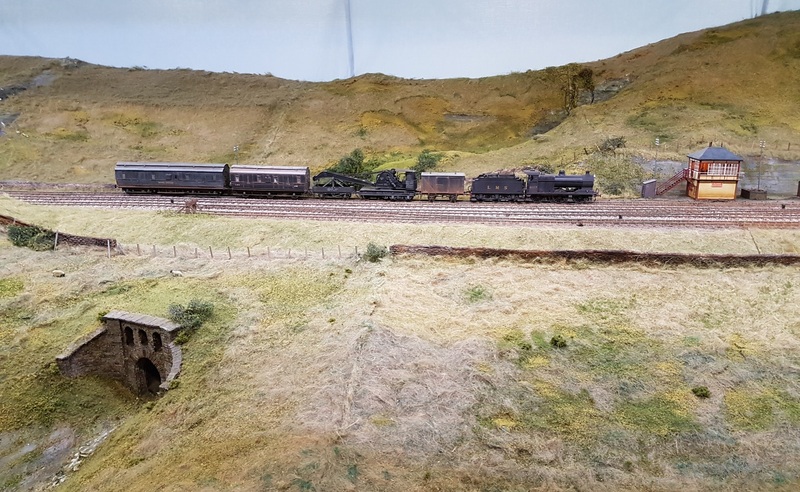 The moorland scenery is unusually high and deep, giving a fine backdrop for a procession of trains through the scene. 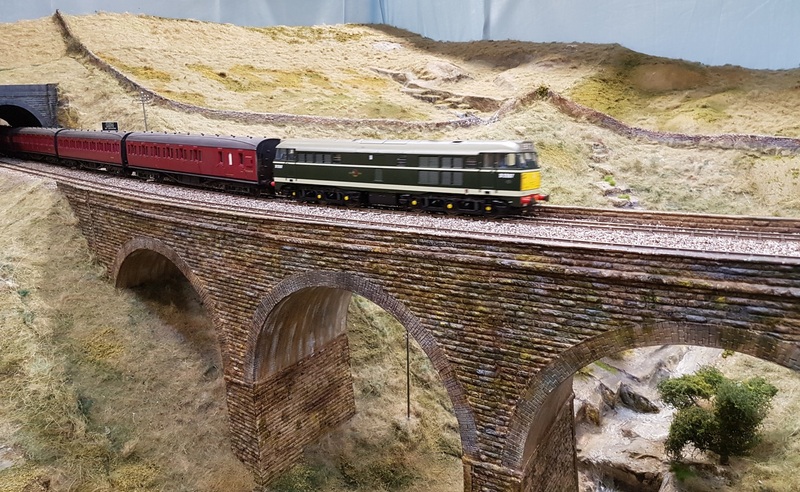 There is a grade to the track, and some locomotives were working hard to reach the summit. On the other end of the size scale, but just as interesting to me, was Friday Bridge, a Wisbech and Upwell tramway branch that was never built. 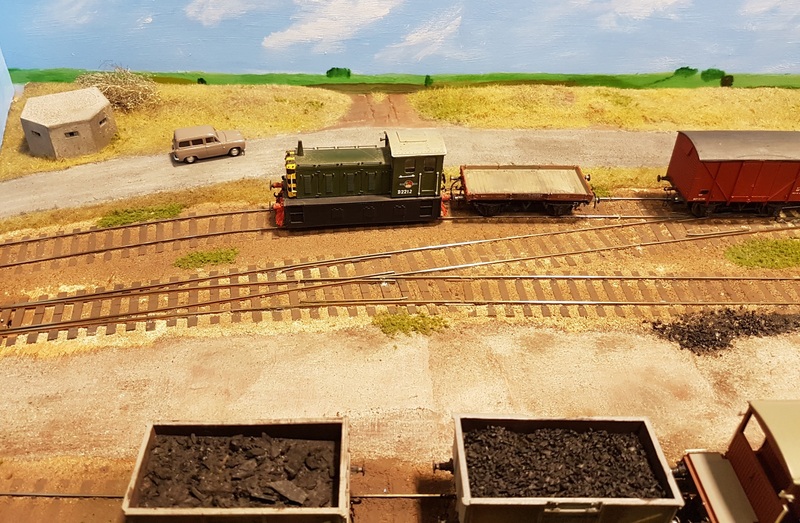 Simple shunting that captures the bleak fens of the area. 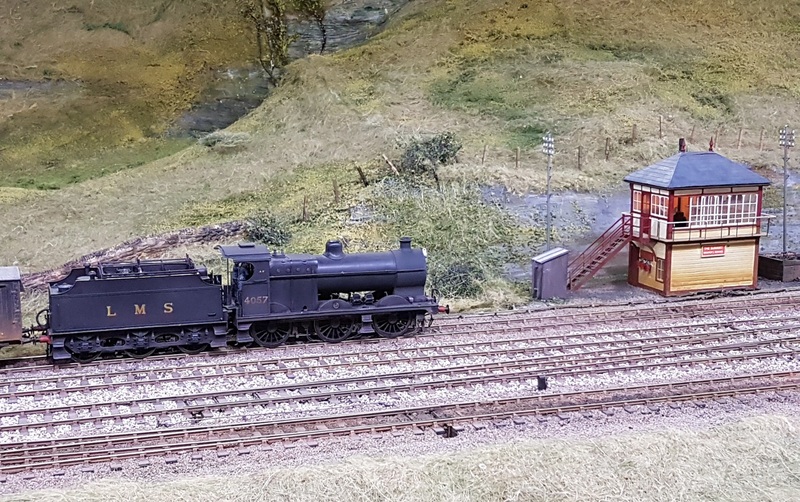 A more complex switching layout was Phoenix Junction in ‘HO’. Main line modern image, with ‘Westbrook’ in ‘N’. An attractive line of buildings formed the backscene to Butley Quay in ‘OO9’. Germany (Allgau region) in ‘N’ with Oberau Nord. 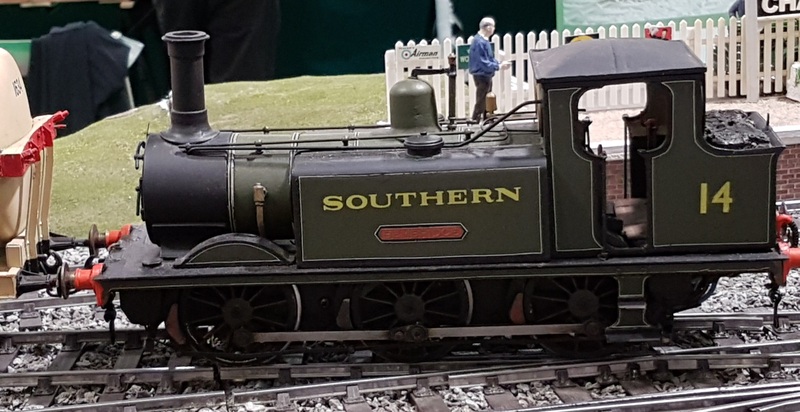 And finally for today, an Isle of Wight Terrier on the Gauge 3 layout, Chalfont. 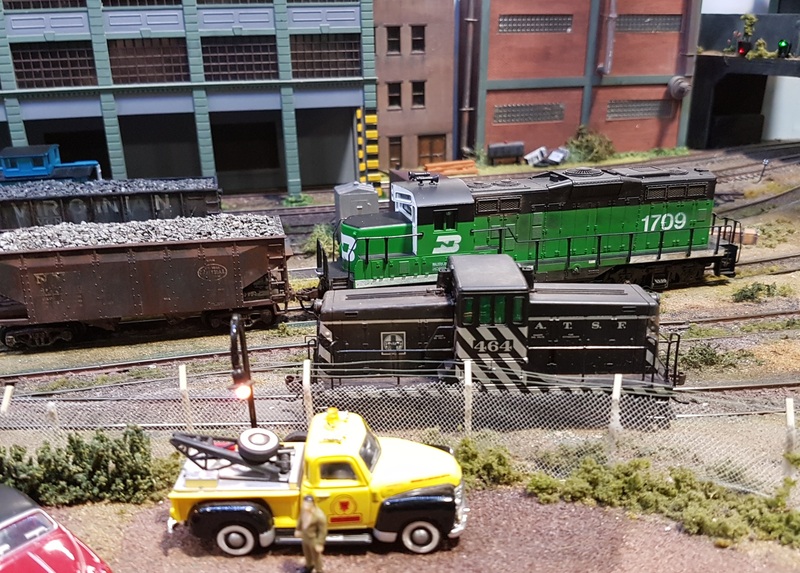 The lack of a crew is very conspicuous in this scale – but I rather like the locomotive! Second half of my photos follow next time.